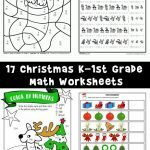 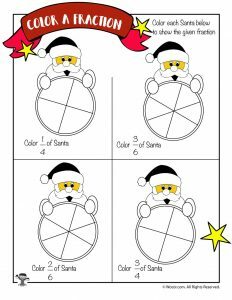 Our newest set of math worksheets for Christmas are just for first and second graders! 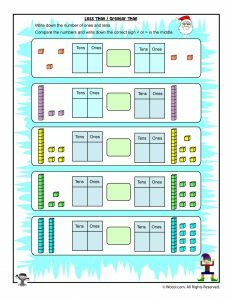 Today we’re sharing resources to teach an introduction to fractions, numbers greater than and less than, and identifying hundreds, tens and ones. 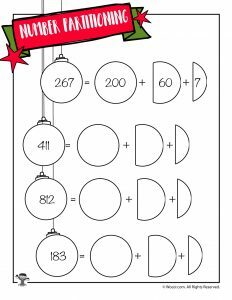 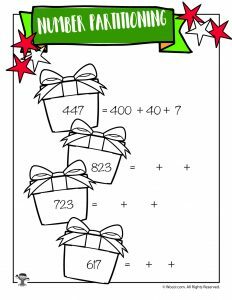 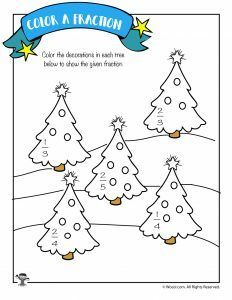 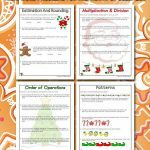 We also have another set of Christmas math worksheets for children ages 4-6, teaching pattern recognition, addition and subtraction. 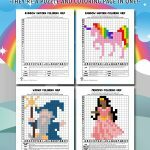 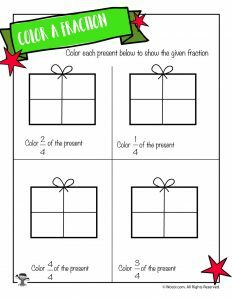 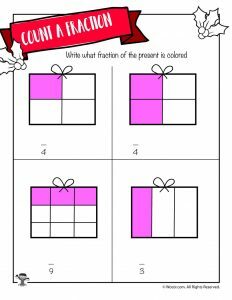 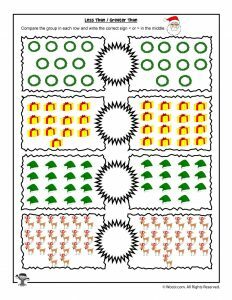 These printables are great for introducing the concept of fractions in a visual way, so that the kids can see the whole, parts of the whole, and color in the picture to give the correct answer. 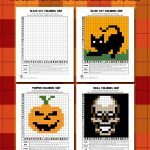 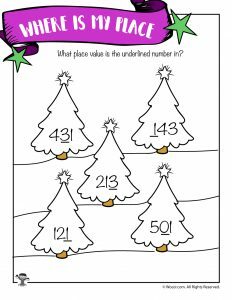 These worksheets are varying levels of difficulty to teach which numbers are bigger and smaller. 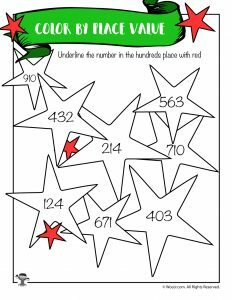 Some are 1-10, others 1-20. 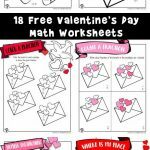 The last worksheet in this group teaches BOTH hundreds, tens & ones in a greater than / less than format! 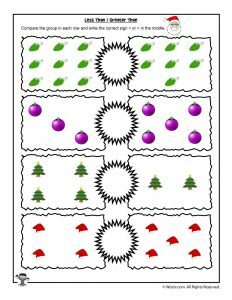 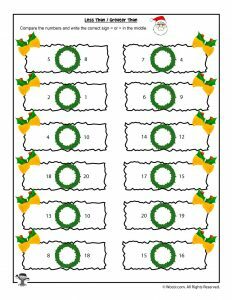 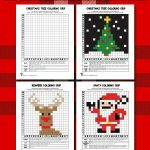 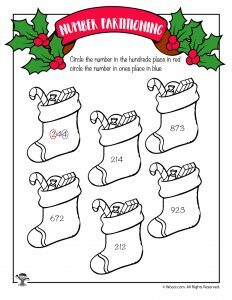 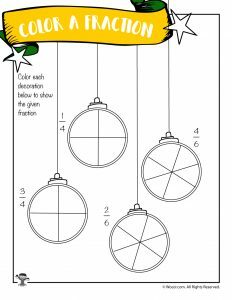 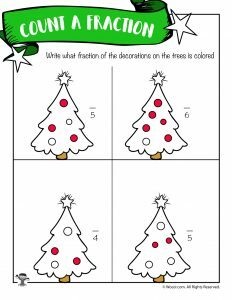 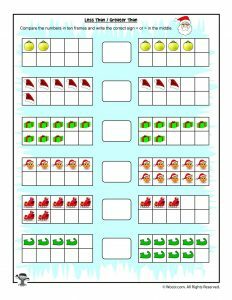 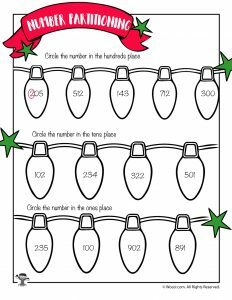 These six fun Christmas themed worksheets are great for recognizing and identifying the place value of three digit numbers.